David Laurello rejoined Stratus in January 2000 from Lucent Technologies, where he held the position of Vice President and General Manager of the CNS (Converged Network Solutions) business unit. At Lucent, Dave was responsible for engineering, product and business management and marketing. Prior to this role, he was Vice President of Engineering of the Carrier Signaling and Management Business Unit at Ascend Communications. From 1995 to 1998, Dave was Vice President of Hardware Engineering and Product Planning at Stratus. Before Stratus, he held a number of senior engineering management positions at Digital Equipment Corporation. Dave earned a bachelor’s degree in electrical engineering and an MBA from the University of Massachusetts. Dave is a member of the Stratus Board of Directors. In addition, he serves as a director on the boards of the Massachusetts High Technology Council and the Massachusetts United Way of Tri-County. Dave is also a member of the advisory board of the Manning School of Business, University of Lowell. Walter Loh joined Stratus in 2019 as our Chief Financial Officer. In addition to his role as CFO, Walter oversees all aspects of global IT for Stratus. Prior to joining Stratus, Walter was the CFO at Mavenir for over two years where he was responsible for global financial operations and processes. Prior to Mavenir, he served as Executive Vice President and CFO for Xura Inc. Before joining Xura, Walter was an Operating Executive of Siris Capital Group, which he joined in 2007. He started his career in the Mergers and Acquisitions group of Goldman Sachs. Walter has a BS in Economics from the Wharton School and a BAS from the School of Engineering and Applied Science of the University of Pennsylvania. He has extensive experience in global finance, corporate strategy, private equity and investment banking. Jason joined Stratus in 2018 as CRO, bringing more than 20 years of sales and operations experience to the company. At Stratus, Jason oversees global sales, marketing and business development efforts for the company. Jason joined Stratus from PTC, where he was responsible for driving worldwide adoption of PTC’s IIoT platform into manufacturing and connected operations environments. Before PTC, Dietrich led the Operations Execution business for the Invensys software division of Schneider Electric. Jason holds an MBA and a BSc in Chemical Engineering from Lehigh University. John Vicente joined Stratus in 2019 as our Chief Technology Officer. As CTO, John is the technical evangelist for the company developing and promoting Stratus’ view of the Edge and IoT landscape. He collaborates closely with members of the Stratus Business Line Management, Engineering and the field GTM teams. John came to us from Intel, where he spent the past 25 years in increasingly responsible roles. His most recent position was running the CTO Office for Industrial IoT where he worked across a broad industrial sector including process & discrete manufacturing, oil & gas and smart buildings. He helped to define the architectural strategy and roadmaps for Intel’s current industrial edge computing technologies and products. Prior to Intel, John spent 7 years with Digital Equipment Corporation in various engineering roles. John received his PhD in Electrical Engineering from Columbia University, and an MS in Electrical & Computer Engineering from USC. He earned his BS in Electrical & Computer Engineering from Northeastern University. Dara Ambrose joined Stratus in 1997 and held various engineering management positions before being named Vice President of Engineering. Dara is responsible for the leadership of all Stratus product development including managing relationships with key technology and development partners. Dara originally joined Stratus to lead the company’s firmware development team in Dublin. He was part of the team that developed the first Stratus ftServer product and he led the development teams for multiple subsequent generations of ftServer. Following the acquisition of Marathon Dara also led the team that integrated the Marathon software product with the Stratus software product resulting in the everRun Enterprise product set. Prior to Stratus, Dara developed software development tools for embedded systems at Ashling Microsystems and led the engineering team responsible for SCADA products at DATAC Control International. Dara holds a Bachelor of Engineering from the University of Limerick in Ireland and a Certified Diploma in Accounting and Finance from the ACCA. Jason Andersen is Vice President of Business Line Management and is responsible for setting the product roadmaps and go to market strategies for Stratus Products and Services. Jason has a deep understanding of both on-premise and cloud based infrastructure and has been responsible for the successful market delivery of products and services for almost 20 years. Prior to joining Stratus in 2013, Jason was Director of Product Line Management at Red Hat. In this role, he was responsible for the go-to-market strategy, product introductions and launches, as well as product marketing for the JBoss Application Products. Jason also previously held Product Management positions at Red Hat and IBM Software Group. David Harrington is the Vice President of Services Delivery and Supply Chain for Stratus. He joined in 2009 and provides leadership for all facets of Stratus’s global supply chain and manufacturing operations including procurement, quality management and management of Stratus’s external contract manufacturers. 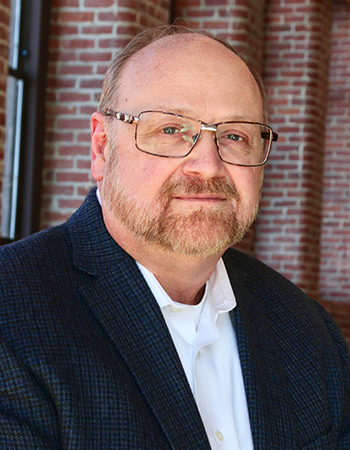 Prior to this role, Dave served for 5 years as the Vice President of Supply Chain Operations & Manufacturing at Egenera Inc. Before assuming that position he served as co-founder and President of Allied Supply Chain Solutions, and held Sr. Management positions at Narad Networks, ACT Manufacturing and Data General. Dave is a graduate of Westfield State College, and holds a Bachelor of Arts degree in economics. Bob is Vice President and General Counsel at Stratus and has over 25 years of corporate legal experience with a number of successful companies, ranging from private start-ups to multi-million dollar publicly traded companies. His most recent position prior to joining Stratus was Vice President, General Counsel and Secretary for Tech Target, a $100M publicly traded media advertising company. Prior to Tech Target Bob worked for a number of technology companies including Emptoris Inc, a $100M enterprise/SaaS software company, SpeechWorks International which was brought by Nuance in 2003, Picturetel Corporation and FTP Software. Bob also worked previously for Stratus in the roles of Assistant General Counsel and Division Counsel for North America. He has a broad legal background and has played a key role in a number of significant initiatives involving mergers, acquisitions, strategic partnerships, corporate governance and significant contract management. Delfi L. Nieto joined Stratus in 1997 and held various management positions before being named Vice President of Human Resources in 2008. She is responsible for the development, execution and management of Stratus’s worldwide human resources initiatives. Prior to Stratus, Delfi held senior level positions within Human Resources at NEC Technologies; and before that she was employed with Sentry Insurance Company. Delfi holds a Bachelor’s Degree in Business Administration from Fitchburg State University and is a member of the Board of Trustees for the University. Matsumoto-san is President of Stratus Japan, responsible for leading all areas of the Japan business including strategy, sales, services and support. He has broad knowledge and experience within the technology space which he gained in previous senior leadership roles in Japan. Matsumoto-san was most recently the President and CEO of SYNNEX Infotec Corporation, one of the top 3 IT distributors in Japan. Prior to SYNNEX he held various leadership roles at Hewlett-Packard, including Director of Alliances, Director and General Manager for Enterprise Storage and Servers. Jim Robichaud joined Stratus in 1988 and held various accounting management positions before being named Vice President Worldwide Sales and Operations. Jim is responsible for the leadership of all facets of Sales Operations on a global basis including the planning and executing of sales strategies and processes. Jim earned a bachelor’s degree in Accounting and an MBA from Assumption College. Richard assumed the of role of Vice President for EMEA in March 2019 and has responsibility for leading all Sales, Service and Business Development initiatives throughout Europe, Russia, Africa and the Middle East. Having joined the company in 1987, Richard has held several key positions at Stratus including his most recent role as Director of Sales and Business Development for the African and Middle East Region. He has been instrumental in driving growth for the EMEA region including the establishment of our sales and support subsidiary in South Africa leading to a channel-centric sales model extending into the entire African continent. He is passionate about our customers and keeping their businesses up and running. Mike Thompson joined Stratus in 2016 as Vice President, Americas Sales and Services for Stratus with responsibility for the United States, Canada, Mexico and South America. He previously worked for Stratus from the late 80s to the mid-90s in a number of management roles and held sales leadership positions with several technology companies including Informix Software, Kiva Software and EMC. During his 15-year tenure at EMC, Mike had increasing levels of (channel) sales responsibility ranging from area VP, global account management and managing the Dell partnership. Mike resides in Atlanta, GA and graduated from Georgia State University with a degree in Business Administration and Marketing. Edward joined Stratus in 2019 as Vice President, Asia Pacific Sales & Services. In this role, Edward is responsible for driving revenue and profitability growth across the region as well as cultivating a strategic focus in developing the edge computing and IoT markets. Edward has more than 20 years of progressive experience in both information technology companies and industrial solution enterprises where he covered a number of leadership roles in sales, marketing, business development, services, operations and finance. Before joining Stratus he held the role of General Manager at TSI Asia Pacific HQ. During his career, Edward had several international assignments in China, Japan, Taiwan, Canada and Singapore driving cross-cultural teams and matrixed organisations. Edward has earned an Electrical Engineering degree from the University of Waterloo and an MBA from the University of Toronto. Edward is also a Chartered Financial Analyst (CFA).